‘We could be about to see what happens to a town when it loses its identity. Shepparton is SPC Ardmona’ – Warwick Long, ABC Rural journalist, 30 January 2014 via Twitter. I am a graduate of Dookie Primary School No. 1527, where there was a grand total of five students in my grade. All up, our school roll-call peaked at about 60 in my later years. The primary school was on a block so large that a city property developer would probably stack no less than 200 apartments on it. Other than Pine Lodge Primary School, a few kilometers down the road, which actually had real bush as part of its playground, we must have had the highest square-metre-of-playground-per-child ratio in the state. Our little town, population 260, was (is) surrounded by gentle rolling hills and lots and lots of paddocks – some with crops, some with sheep. I have no shame in comparing the scenery to Tuscany. At school, we’d sit cross-legged in our composite classes and read the ‘City Kids/Country Kids’ book series (by Lorraine Wilson, with great titles like, ‘We Swim in the Dam’ and ‘I’m Selling Sheep Manure’), and laughed (after initial shock) when we were told by our teacher, who once taught in Melbourne, that some city kids think milk comes from a bottle at the supermarket. But we felt a bit sad for them too – missing out on knowing the full story. We knew it came from a cow, went to the dairy, then a ‘Ducat’s’ milk carton at the supermarket. We also knew exactly where tinned peaches, which we often ate with ice cream, came from. They came from the orchards we would see out the car window when travelling to Shepparton, 30 kilometres west, to go to the supermarket, dentist, Fairley’s, or W.B. Hunter hardware. Dookie was where wheat came from, and Shepparton was where apricots, peaches, apples and pears came from. Wheat went to the silo and became bread; fruit went to SPC and got put into tins. Simple. These lessons came early for kids in the area — and were a part of our childhood. Even the Dookie kinder’ outdoor play-equipment featured a giant wooden fruit crate branded ‘S.P.C.’. If heading to London is a so-called ‘rite of passage’ or ritual for many young Australians, an excursion to ‘the cannery’ was a ritual for all Goulburn Valley kids. It was just referred to as ‘the cannery’ but we knew it was SPC, the factory, and that that stood for ‘Shepparton Preserving Company’. I’m not exactly sure how old I was when I went on the excursion, but I’m guessing I was about grade two, and we had to wear those funny hats that look like tissue shower caps, walk very carefully, and not touch anything. I remember the noise, the workers sorting the fruit, the tins racing around on lines like roller coasters, and most of all, I remember the smell. Stewing fruit – tonnes of it – is not a smell little kids naturally love. It is heavy, it is strong, and it doesn’t smell like Maggie Beer’s or Stephanie Alexander’s kitchens would if they were stewing fruit. I’m sure we screwed up our nose and said ‘pewwww’ and ‘grooooosss’ quietly, but not so loud as to be rude and embarrass our teacher. Being at the SPC factory was like going to a church – you had respect for it, you behaved, and you understood that even if your family didn’t go there, it was an important place for many. Fast-forward a few years, to when I was a teenager on the rowdy ‘Dookie bus’ that travelled half an hour each way between Shepparton and the Dookie hills, dispatching a rabble of youngin’s to the six (later, five; thanks Jeff) secondary schools. Every morning and afternoon, our bus would zip along New Dookie Road, past the same orchards we used to see out the car window when we were little. In Summer, the trees would be green and lush and we could see the fruit hanging and ripening. In Winter they would be bare like skeletons. And in Spring, they’d be covered in blossoms like they were coated in popcorn, or cotton wool — a scene that would seriously challenge Japan’s Cherry Blossom Festival. These were the orchards that grew fruit for SPC. After high school, I moved to Melbourne to study at university, and it is where I am living now. In those uni days, some friends from high school would head back to Shepparton for the summer and ‘do the cannery’ – work shift-work during the peak time for the factory and earn some cash for the following year. I had family and neighbours who did the same. It was an important part of the annual wage cycle for many. Today, my uni days further in the past than seems real, I only buy SPC (and Ardmona) tinned fruit, tomatoes, or baked beans from my city supermarkets. And I get angry when the cans are on a lower shelf than the imported, or store brands. I always take a moment to sideways-glare at the store-brand tins (it is a moment of utter nuttiness on my part, but it would be ‘un-Goulburn Valleyian’ not to). And if there is ever an opportunity to tell a friend/colleague/poor bystander what ‘SPC initials stand for’; I do. I have done this in Australia, and with Australians overseas (I usually follow it with talk about where the saying ‘that’s a Furphy‘ comes from; but that’s another blog post). There is more to this week’s announcement by the Federal Government that they will not to provide much needed funds to SPC Ardmona than the threatened closure of a cannery. (An announcement that, like a scene from the political television satire ‘The Thick of It’, Prime Minister Abbott so obviously and wickedly orchestrated to come out of the mouth of Minister for Industry Ian McFarlane in their joint press conference). I haven’t space here to properly write about the future for the transport companies and drivers who ship the fruit to the factories, and then the tins elsewhere; or the factory outlet that, contrary to what our Prime Minister would have the country believe this week, IS a major part of tourism for Shepparton and the region. A factory outlet that has people making detours after holidays on the Murray, or driving back from NSW, or visiting friends in the region, to pick up some good deals. Glamourous MoNA it aint but you can’t set yourself up for winter soup-making with a slab of dented tins of crushed tomatoes from a trip to Hobart; so let’s call it a draw. I also haven’t talked about the issue of dumped products, high Australian dollar, the already high unemployment in the region, or the limited opportunities available to the hundreds that could lose employment if SPC shuts. I haven’t reiterated local Mayor Jenny Houlihan’s point that the welfare payments to the potentially 3000 unemployed will outweigh the $25 million co-investment being asked for. I haven’t discussed the politics of Shepparton being in the federal seat of Murray – one of the safest Coalition seats in the country (but bordering with Indi – sometimes ideas can be contagious). I haven’t shared my thoughts on the not-insignificant circumstances of the local federal member, Dr Sharman Stone, being a supporter of the PM’s rival Malcolm Turnbull; and a person who chose to vote to overturn Tony Abbott’s controversial RU486 abortion bill law. I’ve not gotten on to Cadbury who, like SPC, is owned by a multinational, and got funding from the federal government, apparently on ‘tourism grounds’, but also located in an electorate held by the Independent Andrew Wilkie; a seat the government wants. I haven’t shared my thoughts on the embarrassing comments from economist Judith Sloan that if SPC goes, the orchardists can just turn their land into dairy farms (because they all have a couple of million in their back pocket, and cows don’t really need much room, right? ); or the inference from Tony Abbott that SPC workers, averaging less than $50K p.a., are overpaid, thanks to what he calls an ‘extraordinary agreement’ and work conditions. I haven’t explored the issue that SPC is more than just fruit and the futures of orchardists — it is bean growers, and tomato farmers too. 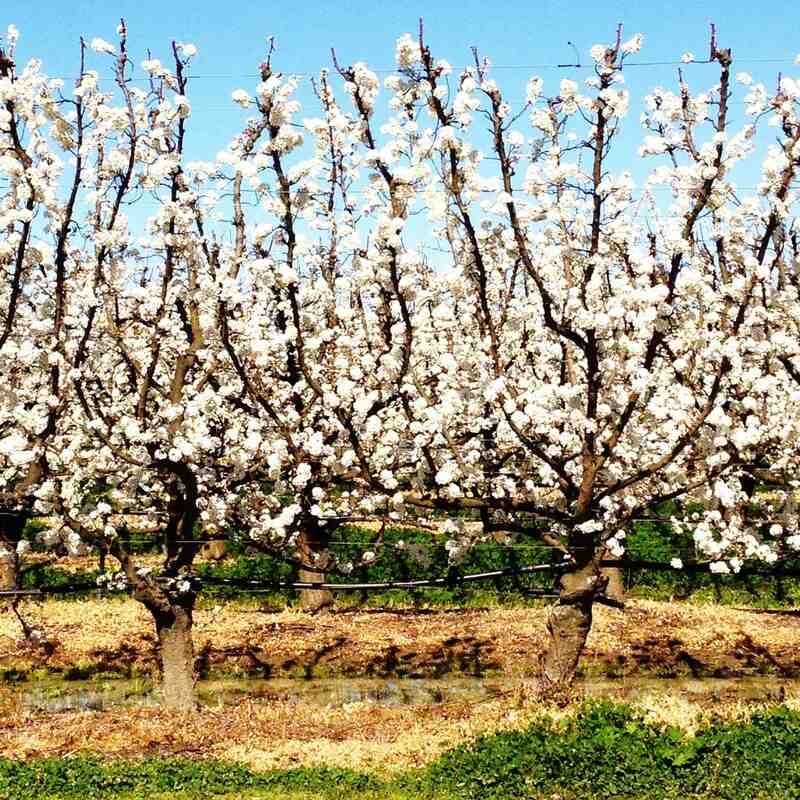 Or the cultural significance of the orchards, connected to the rich migrant history of Shepparton. I haven’t raised the ‘white elephant in the room’ that Australians have gotten better at eating fresh fruit, and don’t eat everything tinned like our grandparents did, and how that hasn’t helped SPC. And I haven’t confessed that while MP Bob Katter – BobKat – loses me with most of his policies he has always had me on side when it comes to the importance of Australia being self-sufficient with food we produce and eat. Here, I don’t want to talk in detail about any of those issues. I just want to endorse Warwick Long’s comment that SPC Ardmona is Shepparton. This isn’t about a factory being at risk – it is a town at risk, and a community at risk. It is about pride, identity, and just one part of regional Australia feeling positive about its future. Thanks Jan (typos now removed too!). Was keen to share another angle on it. And don’t forget Mooroopna. Great read though. True. I feel less qualified to talk about ‘over the river’ so thought safer to steer clear. But absolutely — Mooroopna in this too; and even further afield. Great article. Small schools, are so great my children all went to a very small school too and they were so lucky in the style of teaching this allowed.. I often visit Shepparton, have done so for 30 odd years as I have relatives there. There are 100 shops already vacant in Shepparton that is before this disaster will even hit the town. Shepparton already has the highest Welfare in Victoria. With each new visit to the town, you can feel the negativity go further down such a SHAME for such a Beautiful town so lovely to drive through and so scenic…. There are many flow-ons that come from the potential shut down of SPC — that is for sure. And yes, small schools can be great schools! Sharman Stone has two other characteristics that discriminate against her in Abbott’s eyes – she’s a woman, and her degree in economics is a Ph. D.
Having done very little paid work in his lifetime, Abbott doesn’t have a clue, doesn’t want to know, and doesn’t care one whit about working people. It was indeed a (now corrected) typo. The excursion really was a ritual we all went through to better understand Shepparton. If knowledge can change status, I think it passes :-) Third — Dr Stone is on Team Malcolm, it is a not-insignificant factor. But credit to her for speaking up for her electorate — when you have nothing to lose, well, you have nothing to lose! Yes Mick, I have worked as a fruit picker & to see what they did to the orchardists when SPC was taken over from Coca Cola was terrible. First they accepted a lot less from orchards & then for some nothing. And this happened after they had met with the orchardists the year before for planning & then changed their requirements too late in the season, sometimes at the last minute. So much for forward planning! For many, many years we stopped at the SPC factory on our way back from visiting various family members in the area and further north on the Murray. It wasn’t a sophisticated shop back then and the box of tinned fruit we invariably bought was the ultimate lucky dip as the tins were “seconds” in that they were without their labels. There was much hilarity around the dinner table as we guessed what would be for dessert that night. Our family has always bought SPC and I continue to do so. It costs me more, but I am acutely aware of how important our primary producers are. I don’t want to eat food from China or South Africa. I want to eat food that is grown in Australia, by Australians, under Australian conditions. I want there to be substantial employment opportunities in areas other than highly populated urban regions. I want kids to have the opportunity to go to small country schools, like you did Amy, and have the choice of going away for work or staying in regional areas knowing that there is meaningful employment to be had. The Federal Govt has declined to consider investing in SPC & Shepparton but have announced $200 marriage counseling vouchers for those about to be married. This is estimated to be costing $20m. I can only imagine the cost to the community should Shepparton lose SPC with the costs of relocation, family breakdowns, welfare, etc. Whoever came up with this crazy marriage counseling idea and whoever decided not to support Shepparton & SPC both need a hard lesson in reality & quickly. Good points LB. And I totally understand the ‘tin-can lucky dip’! The SPC/Ardmona I recall were horrible places, with dreadful working conditions and rife with nepotism and sexism. Would you actually eat their product, after knowing what goes into it? Example – the “cherries” that are actually made from rotten pear paste, cleansed with chemicals then dyed pink? However if the factory is of such fundamental importance to the employees, why don’t they get together and put in the funds? As you said, it is only $25million, between those “3000 potentially unemployed” this comes to a reasonable sum. They could swap the funds for equity, so it would be win-win. Lol the cherries are imported from Italy or Spain in big barrels of brine and died red, they are real(nearly ripe white ones)the pineapple is imported in big tins from Thailand. The rest of the fruit in the fruit salad tins are grown in the goulburn valley. Then the acquisition of CCA was the selling of its soul.The all mighty shareholders and dividends driven company, with its return on investment in a fledgeing fruit processing factory, was always going to head in closure-everyone in the town could see it,even the growers .The best outcome now would be to sell it.But who would buy it? It shouldn’t be the government or those in opposition to bail the cannery out .CCA is not going to pump the money into SPCA because it knows it wont get a return on $2M let alone $20M. So why should the government put that money down the drain? Its sad,but they wont be the last to padlock the doors on businesses that have not diversified in Australia.The bottom line is canned fruit is no longer on our shopping lists,We just don’t consume the volume here in Australia and our product is noncompetitive overseas-Hence the imports. Pray for a “white knight” Shepparton as this maybe our only Savior. Tony Abbott reason for giving money to Cadbury was as an investment into tourism. Currently in Shepparton there are literally thousands of backpackers from overseas picking peaches and pears on orchards for SPC. This happens every season and funds many tourists working holidays. Thanks for commenting Andy — are you suggesting that the Federal government should have given money to SPCA? I believe the issue isn’t that Spc needs a hand out or a bail out. The issue to me seems to be that CCA has an area of its business is performing poorly and will cut its losses and close it down. CCA has given the government the opportunity to save 3000 rural jobs and a regional city for the price of $25M. If SPC closes their will automatically be a rise in unemployment and for a town the size of Shepparton 3000 jobs is huge. Hope I make sense with what I am saying. Thanks Adam for taking the time to read. Just read this. It’s beautifully written and heartbreaking. Thanks for sharing your unique perspective on a very, very important issue. Thanks Justine — just one perspective but hopefully it conveys a sense of how ‘big’ SPC is in the town, to those who live outside of it. From a business perspective this is emotional claptrap – if it made sense to invest, then CCA would iinvest. The demand to th state and fed govts for “co-investment” is just nonsense coming from a company capitalised at $9bn. If every person out there demanding tariff protection or govt funding for SPCA looked into their own pantry and simply chose not to buy imported food the problem would largely be solved. But, do you buy canned fruit? Hi David – as mentioned above, I do buy SPCA canned fruit (and tomatoes and baked beans). Last night’s purchase was apricot halves — great with ice cream. Great article Amy…….If governments, regardless of party, want local business to stand on its own feet in the world market, then create a true level playing field for them….Tax the dumped, cheap, subsidised imports until they come to a realistic price range and put the imports through the same, strict and expensive testing regime that the local fruit goes through….stop allowing imports with high chemical levels onto the shelves…. Do this and they might find the Oz products are more than competitive…. Thanks Glenn. Maybe this matter will raise some questions and improvements for Australia’s food industry generally? Time will tell. What a great article written so well. I agree totally. Why don’t they just pull back on the imports. Thanks Judi — will be interesting to see if there are any changes to policy in the future. Beautifully written. We are Scottish immigrants who have lived in Shepparton since arriving in 2006. People think we’re deranged when we say we love it here, rather than the city, but we have gone to great lengths to ensure that this remains our home, despite my husband’s job now being Melbourne-based. The feeling of being a part of the community has been with us since shortly after our arrival, and we have had so many people visit us from Scotland who now completely understand why we love our life here. My eldest son has recently married a local lass and my daughter in Scotland would love to be here with her children. We spend a lot of time camping locally and have come to love the Murray River and it’s surrounds. I hope that we can do something to help this wonderful community in the near future, to try to repay some of the debt we feel we owe. Thanks Muriel — lovely to read about your move across the world to postcode 3630. There is certainly lots to love about the space and pace of Australian country-living. Lived in Shepparton, even worked a season on the cannery line at SPC. My husband a draftsman even worked with the company. Nepotism is a word not used lightly. Worked with Grandmas who were often asleep whilst on the line, unemployment, interesting to see how many of these even get a look in at a job! the best thing that could happen is Coca Cola Amatil crack it and sell it, then new owners can weed out the fat cats and dead wood and actually make the company profitable. Where do big campanies (coca cola Amatil) like these think they deserve a fricken handout from the government. Time to reign in the purse strings like the rest of us .PS have always purchased their products, never buy imports anyway, just a bit brassed off about the bleeding hearts of big corporations like this, if you and I need money we go to the fricken bank and get a loan, ever tried going to the bank and asking for a handout…………Please……………. Understand what you mean about large corporations getting handouts — it doesn’t seem fair at all — Cadbury in Hobart included. Some consistency in the policy for funds is what is needed. Hopefully a solution can be found one way or another because a total closure would have a huge economic and social impact on the Goulburn Valley community; beyond the workers on the lines. Worked at SPC (can shop) during school holidays . Very sad to hear about it but practically the same thing has been happening here in Italy for years. They call it progress!! Ciao Daniele Cunico.